It's officially fall, you guys! You know what that means: hot coffee is back in my life. Not that I quit on it over the summer, because we still had some mild mornings, but now we're into the real cooler weather and sitting down with a hot cup of coffee sounds like a little luxury. Yesterday was also National Coffee Day, so this seems pretty topical today. 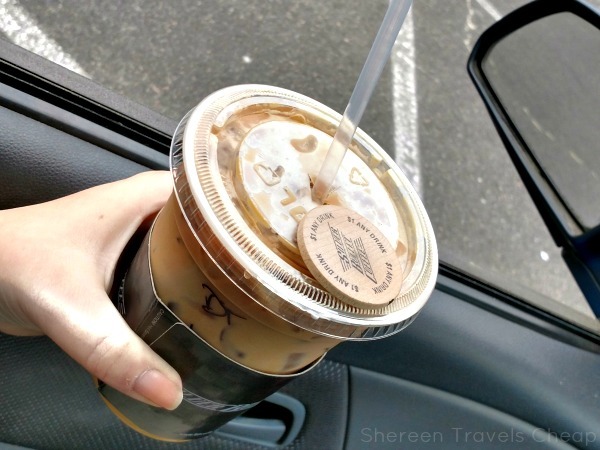 This month I tried out some quick-stop coffee shops, because it was hot out and I wanted to get out and about with my iced lattes and such. This may be the last month of cold drinks for me in the mornings, and I might also have to take a break from my coffee shop visits for the month with my crazy schedule, but that doesn't mean the end of this series. 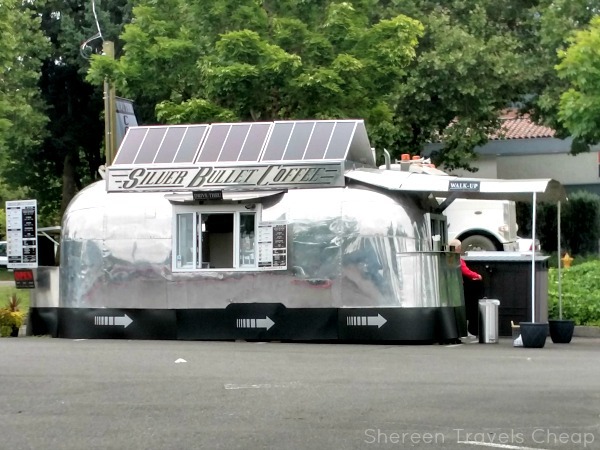 This new coffee shop comes in the form of a sleek silver Airstream trailer in the parking lot near the Washington Square Mall. You can see it when you get off the highway and it calls to you...or it does to me. I've been here two or three times now, because they have a small, but perfect menu of drinks and nibbles. the first trip there I got a vanilla latte, which came with a wooden nickel for a $1 drink on my next visit. I mean, that meant I need to go back, obvs. On my next trip I picked up a chai tea latte and a bagel. The staff are awesome, the drinks are delicious, and you can either drive or walk up and enjoy the shiny truck. 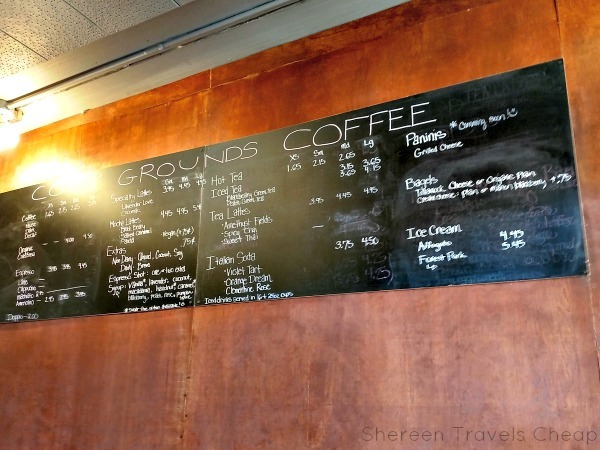 I love the location and it's one of my new favorite quick-stop coffee joints. 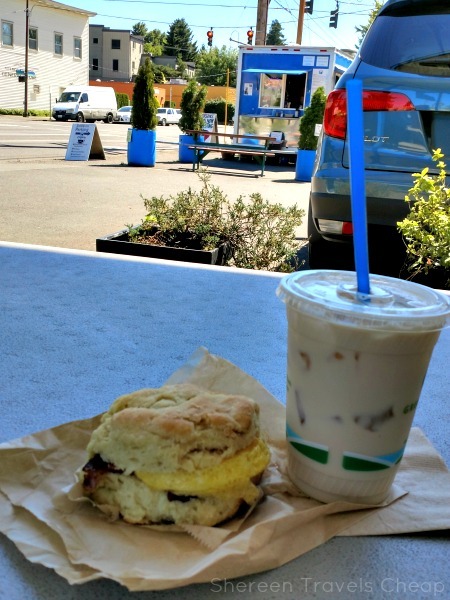 A medium latte is just $3.50 and a bagel with cream cheese is only $2.25, plus it's just a hop to the mall, Cost Plus and Sears Auto Center (so I can get a drink while I wait for my oil change). 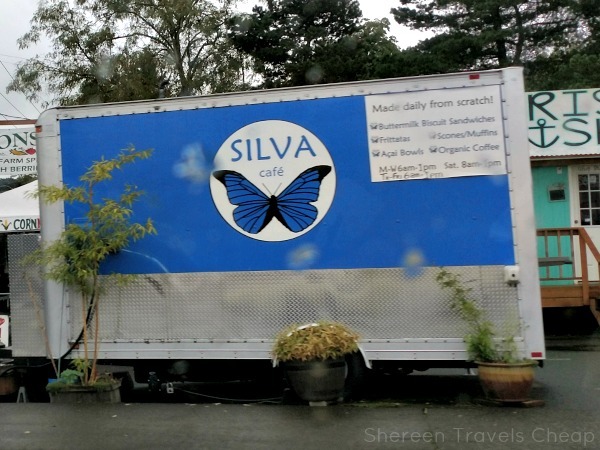 This food truck has been a staple of Multnomah Village for a few years now. I had been meaning to try it, but didn't know that they were known for their coffee. The bright blue truck is easy to spot and are near plenty of other stuff you might want to check out (like all those lovely boutique shops in the Village), so it's not even out of the way. I was in the area, so I decided to check it out. I'd heard they had fantastic breakfast sandwiches, which I'm all about. I ordered myself an iced chai tea latte (can you tell I love those?) and a biscuit sandwich with bacon, egg and cheese. Oh my! The homemade biscuit was something to talk about. It was a bit crumbly, but it reminded me of biscuits my grandmother made during my childhood, with a lot more butter. My latte was perfectly spicy and not super weak like they can be when you order them iced. I grabbed a seat at one of the outdoor tables and relished my meal. My coffee was just $3 and my sandwich was only $5 ($6 if you want a jalapeño cheddar biscuit instead of plain). That was a decent price for a quick and filling meal. 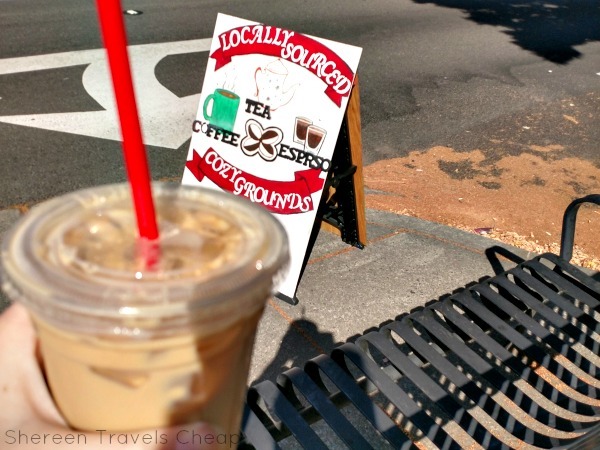 This tiny shop is new to downtown Beaverton, and I have been meaning to check it out, because it's not that far from my house. They have a nice selection of drinks, plus they have bagels and will soon have paninis. I asked for a recommendation and the barista suggested their Cocomac, which, as you can probably guess, is a coconut macadamia latte. I ordered it iced, because the weather has been pretty hot. It was a big punch of flavor for my taste buds and I loved it. I'd definitely head back there to try something else and check out the food on offer. The inside of the shop is quite small. It barely has room for their two two-person tables, so I would suggest taking a seat at the outside table or just taking your goodies to go. My coffee was average priced at $4.45. And there you have my coffee reviews for September. I'm going to try to get a post in next moth if I have the time. 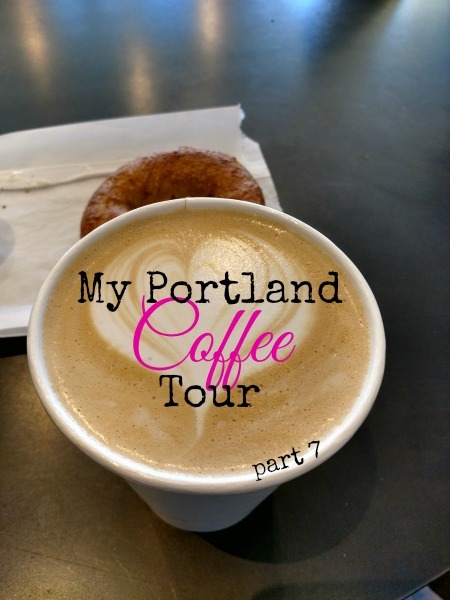 For sure I'll be hitting up a few coffee joints in San Diego while I'm there on vacation, so you can see the photos on Instagram, but that won't help my Portland coffee tour. I'll do my best to get out into the city though and keep this going for you. Talk to me about your favorite coffee shop.